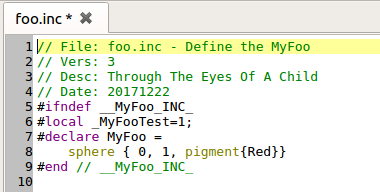 The Insert Text system allows you to insert predefined text into your POV-Ray SDL. 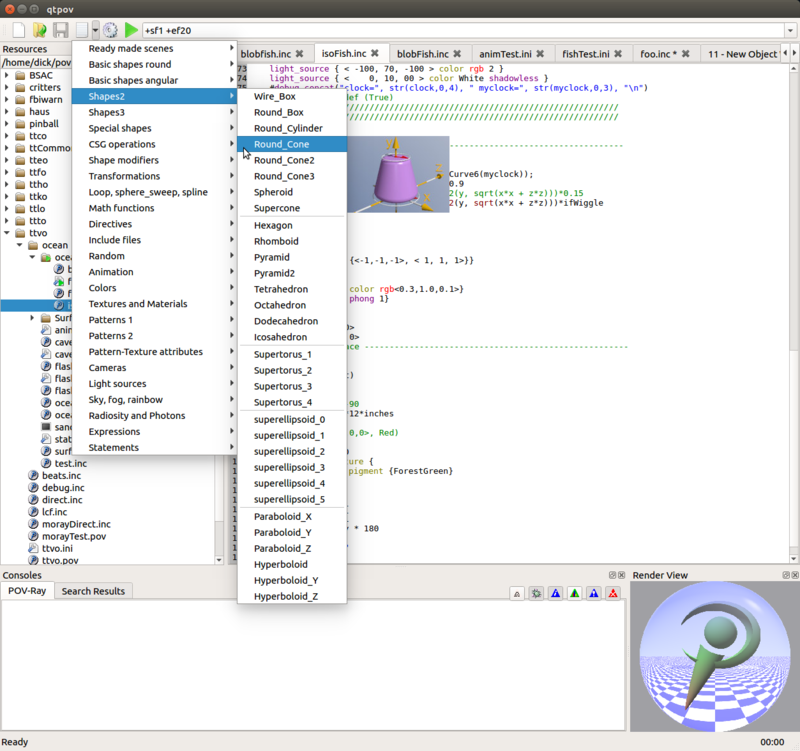 A small descriptive image for the currently hovered menu item is displayed. 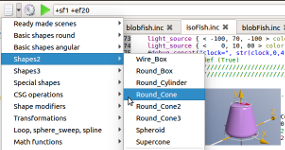 The selected text is inserted at the current cursor in the current editor. Before qtpov inserts text into your document, it scans the text for @@token@@, where token is any word. 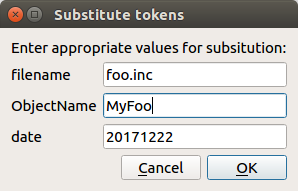 A list of these tokens is presented to the user for values to be substituted. The tokens filename and date get reasonable default guesses. the user is presented with this dialog: which results in this text.